Ghostly bubbles for an awesome Halloween bubble science experiment! 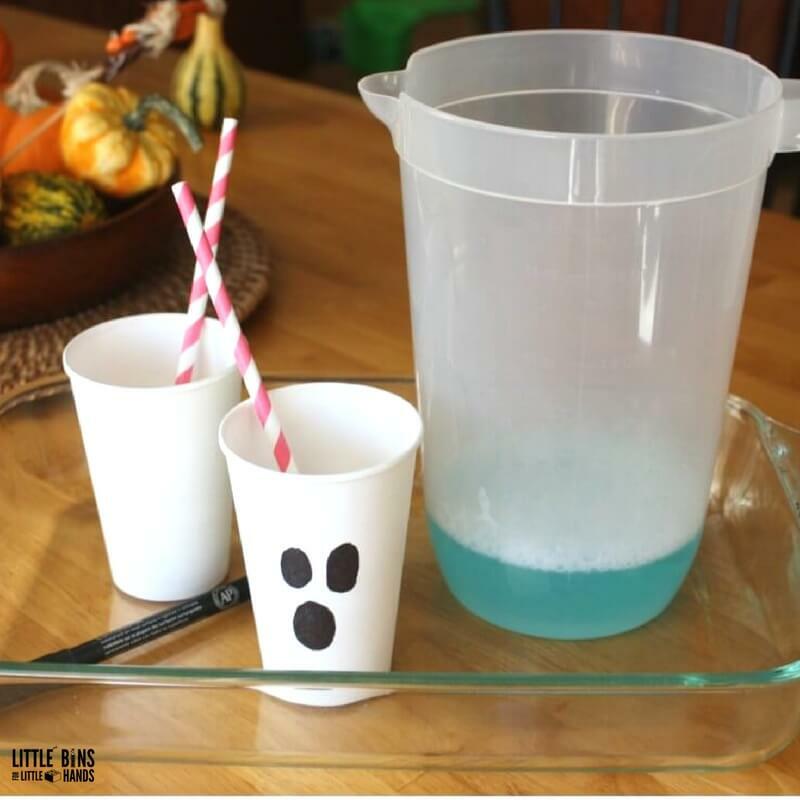 There are so many awesome ways to take a classic science experiment and give it a fun twist for the holiday or season, so we gave this bubble science activity a twist for Halloween! Bubble ghost science is perfect simple science and sensory play. 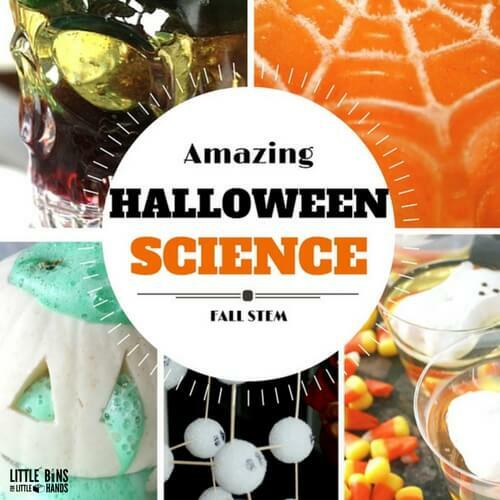 Make sure to check out all our best Halloween Science Activities the upcoming season. Bubble science is real and fun! We also watched a Steve Spangler Bubble Science Video afterwards and he was super excited to see the same ideas and a few more! MIX: 1 cup of water, 2 Tablespoons of corn syrup, and 4 Tablespoons of dish soap in container and mix together. MAKE IT AN EXPERIMENT: Turn this into a true science experiment by comparing different types of bubble solutions. Which solution blows the best bubbles. Or you can try three separate containers but in one have just water, in another have just water and dish soap, and in the last have the actual bubble solution mixture that includes water, dish soap, and light corn syrup. What do you notice are the differences? Take your paper cups and make fun ghost faces on them! Add in a little solution and a straw. Blow a big bubble ghost tower! How big can you blow the bubbles? How tall can you make your bubble tower. Grab a ruler and measure! What’s the science behind bubbles? Bubbles are made up of a thin wall of soapy film that fills with air. You can liken a bubble to a balloon in that a balloon has a thin skin of rubber filled with air. However, when two bubbles of similar size meet, they merge together creating the least possible surface area. Balloons of course do not do this. When bubbles of different sizes meet, one will become a bulge onto the larger bubble. You may start to notice that when you get a ton of bubbles going that they start to form hexagons. Bubbles will form 120 degree angles where they meet. If you would like to go deeper into bubble science, read here. 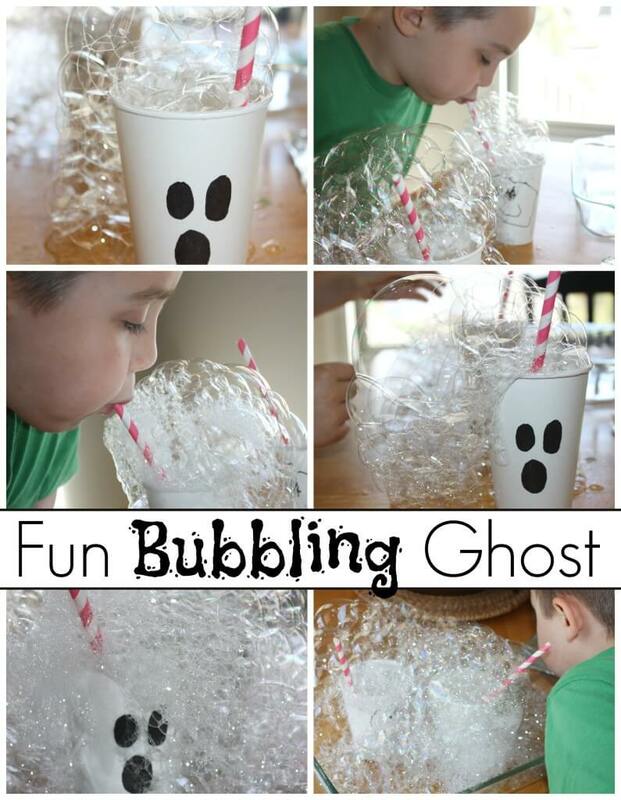 Making bubble ghosts is a simple and fun way to explore bubble science for Halloween! 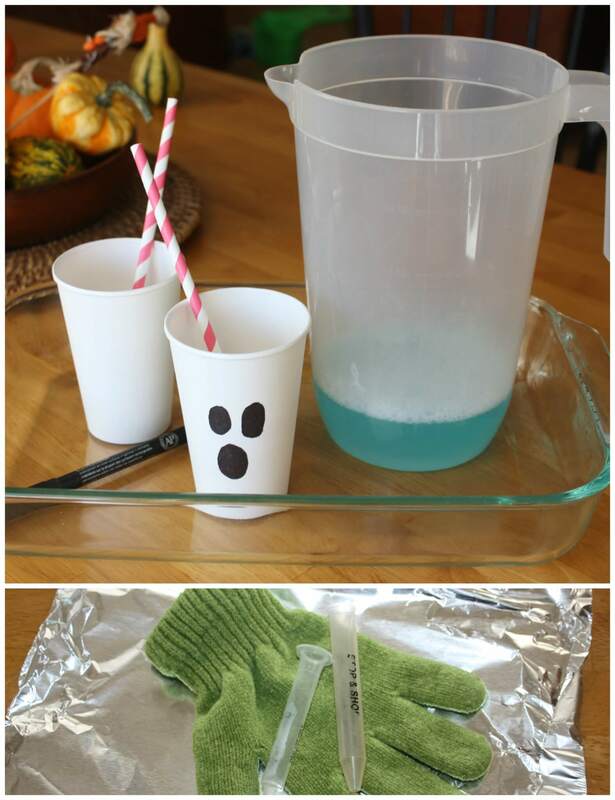 FUN AND SIMPLE HALLOWEEN BUBBLE SCIENCE EXPERIMENT! 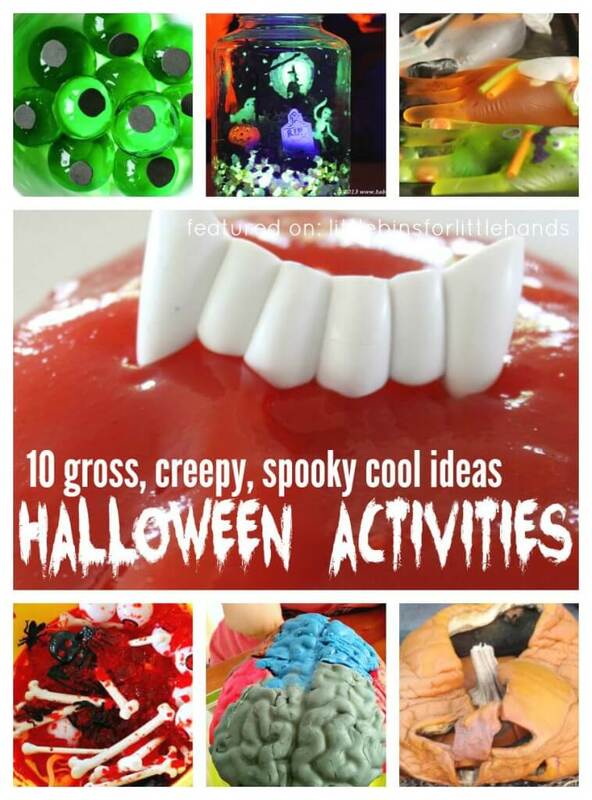 More awesome Halloween science and sensory ideas for kids! Click on photos.